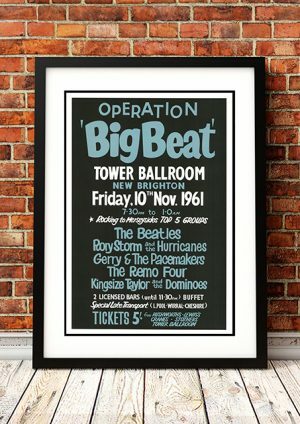 Classic Gerry and the Pacemakers Band Concert Posters and Memorabilia! Buy Online Now! As unfathomable as it seems from the distance of over 40 years, for a few months, Gerry & the Pacemakers were the Beatles‘ nearest competitors in Britain. If the Beatles defined Merseybeat at its best in early 1963, Gerry & the Pacemakers defined the form at its most innocuous, performing bouncy, catchy, and utterly lightweight tunes driven by rhythm guitar and Marsden‘s chipper vocals. Compared to the Beatles and other British Invasion heavies, they sound quaint indeed. That’s not to say the group was trivial; its hits were certainly likable and energetic and are fondly remembered today, even if the musicians lacked the acumen (or earthy image) to develop their style from its relentlessly upbeat and poppy base. 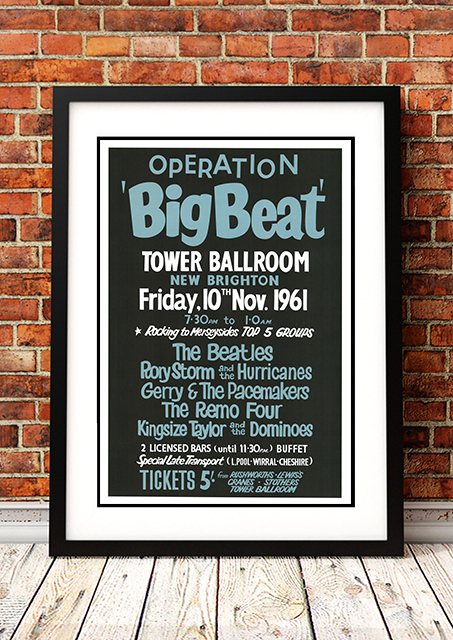 We stock some awesome Gerry and the Pacemakers Band Concert Posters.